Stephen Acres’s story commences with his father Thomas Acres, who was born in County Galway, Ireland, and was a soldier in the British Army. He served in the Peninsular Campaign of 1812–14 in Spain, where he met his future wife Maria Antonia Caja in Cartagena. 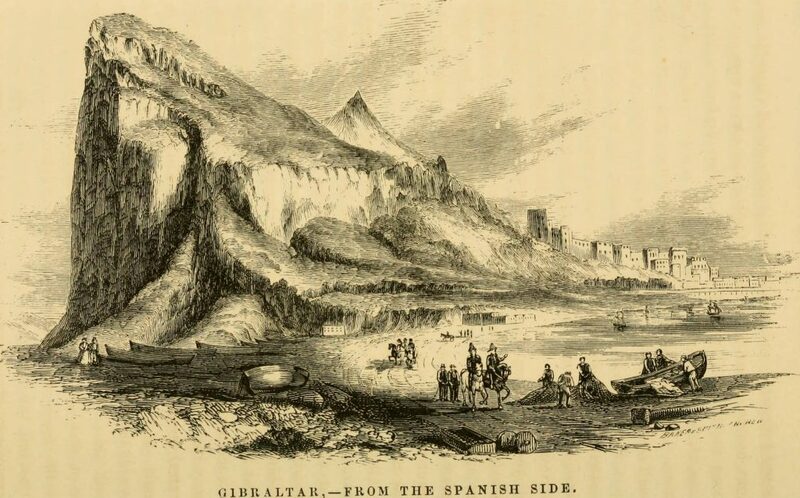 In 1814, his regiment proceeded to Gibraltar, including newly-married Thomas Acres and his bride. According to Stephen, “the Peninsular war ceasing at about that time, my father was allowed to purchase his discharge from the army, when and where he settled down as a civil inhabitant of that Garrison town.” Thomas lived out his life in Gibraltar as a government employee in the Colonial Office. Stephen converted to become a Wesleyan Methodist, a faith that would remain important to him for the rest of his life. As Stephen grew up in Gibraltar, he began to question his Catholic faith. He says, “the moral training I had received under the Roman Catholic influence was at variance with the requirements of Scriptural truth.” He was particularly uncomfortable about confession before a priest, venerating the Virgin Mary or other Saints, and not observing the Sabbath strictly enough. Stephen converted to become a Wesleyan Methodist, a faith that would remain important to him for the rest of his life. When considering immigrant ancestors, I’m always fascinated by what drove them to change their whole life and move somewhere new. Stephen’s Methodist faith provided him with a supportive community as they tried to make a new life for themselves in Illinois. Farming proved impractical for the Acres, and at the urging of his new friends, Stephen took up book-binding. After almost a year, however, the Acres determined that Waukegan was not a growing town, and there would not be enough book-binding business there. They resolved to move on to Burlington, Iowa. He is very frank about his convictions, religious or political, and how these convictions compelled him to make radical decisions such as a religious conversion or moving to America. In Burlington, Stephen’s motivations for moving seem to have been completely justified. “Our church associations also became to us pleasurable and profitable,” he notes, “the influences of which had a marked effect in moulding and forming the dispositions and habits of our children, just at this period of their advancement in growth. Their educational privileges, we also found, were inestimable and greatly in advance of anything they could possibly have enjoyed in the old country.” Stephen goes on to extol their familial felicity in Burlington, which I will not quote in full due to his loquaciousness and grammatical complexity. In sum, their prayers were answered, and “we now found ourselves in a condition to look back with great thankfulness” upon the choice they had made to move to America. The Acres had two more children in Iowa, and proceeded to live there for 28 years (at the time of the writing of Stephen’s mini-memoir). Stephen Acres died there two years later, in 1887. Stephen’s narrative has turned out to be an interesting record not just to his children, interested in his “lineage and descent,” but to us many generations later. He is very frank about his convictions, religious or political, and how these convictions compelled him to make radical decisions such as a religious conversion or moving to America. The story of his family touches on broader history – his father was an Irishman in the British army during the Napoleonic Wars, and Stephen and his family arrived in Iowa during a wave of mass migration to that state. Stephen concludes his narrative by honoring his wife Sarah, who died two years before he wrote his story, as the “companion of his life.” I wish all of our ancestors wrote (and kept) such reflections upon their lives! Molly, that is a fabulous legacy. I can hear Stephen telling his loquacious stories to the children and grandchildren gathered around the fire in Iowa! No wonder they wanted him to write them down. What a great find! Thanks for sharing it. We should all be so fortunate to have a narrative this rich, including some seven generations of ancestors already identified. What a gift! And, a very interesting story of migration. Stunning story Molly – truly what it’s all about! Well done. We all wish we had such a memoir that tells in colorful detail about the life of our ancestors BUT this is also an important reminder that WE should write about our own adventures, and experiences. Won’t our descendants be excited to learn the “whys” of today’s decisions and relationships! You have a treasure in that narrative, thanks for sharing! Thank you all for your kind remarks! I didn’t do any of the work–it was all Stephen Acres (and the subsequent generations of John’s family who have saved this document)! wonderful archival asset and well done summary. I hope this story is to be more broadly shared with the whole family and perhaps, the broader communities of interest.